BPitch Control have been throwing parties at Off Week for many years. 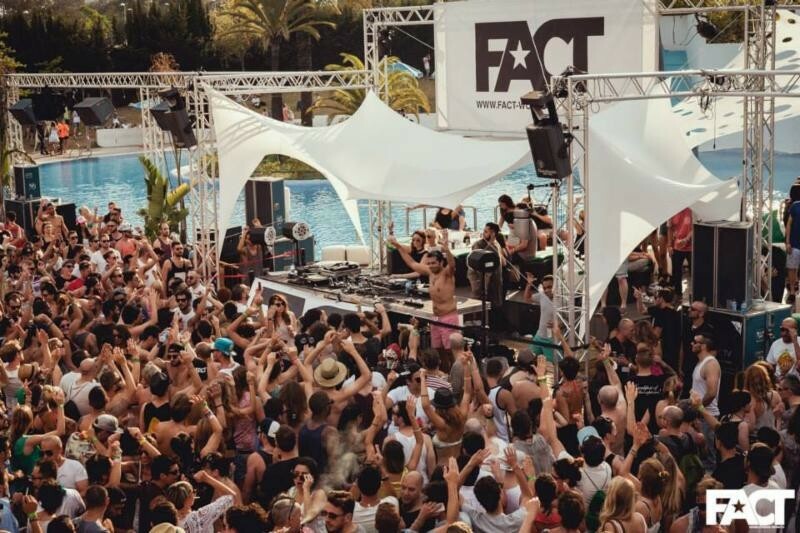 Whether it's label showcases at Nitsa and La Terrrazza, FACT pool partiess or simply throwing it down on a beach, they are good at creating an infectiously spirited vibe that should keep you dancing from noon until night. For 2015 the label returns to the open air setting of La Terrraza for a full night of dancing under the Barcelona moon, and label boss Ellen Allien has invited a decent line up to join her. Camea & Kiki are the idea b2b team. With sets at last year’s BPitch Control Off Week showcase and Berlin institution Watergate under their belt, the duo are more than ready to get the crowd going with their synergy. After a solid debut release on BPitch last year with his 'Space & Time' EP, and his acid monster remix of 'Freak The Night' which came out last month, Ejeca is also invited to shake things up. Hailing all the way from New Jersey is DJ QU, an artist admired by the label not only for his music but also his DJ skills, and he’s been a BPitch showcase favourite of late.